Where Are All the Whales in Hawaii? That’s what many Hawaii residents and visitors have been asking themselves. Typically, December marks the start of humpback whale season in Hawaii, but experts say the animals have been slow to return this year. The giant whales are an iconic part of winter on the islands and a source of income for tour operators. But, according to the Honolulu Star Bulletin, officials at the Humpback Whale Marine Sanctuary said they’ve been getting reports that the whales have been difficult to spot so far. “This isn’t a concern, but it’s of interest. One theory was that something like this happened as whales increased. It’s a product of their success,” Ed Lyman, a Maui-based resource protection manager and response coordinator for the sanctuary, told the Honolulu Star Advertiser. Lyman told the Honolulu Star Advertiser the absence of whales in Hawaii could just mean they’re spending more time feeding in northern waters, possibly because of El Nino disruptions or because their population has gone up. Whale watching season typically lasts from November through April. This year, the first whale sighting in Hawaii was in October. “With more animals, they’re competing against each other for that food resource, and it takes an energy of reserve to make that long migration over 2,000 miles,” he explained. It will be a while before officials have hard numbers because the annual whale counts don’t take place until the last Saturday of January, February and March, former sanctuary co-manager Jeff Walters told the Honolulu Star Advertiser. “They don’t necessarily show up in the same place at the same time every year,” Walters said. More than 10,000 humpback whales make the winter journey from Alaska to the warm waters off Hawaii to mate and give birth. Brian Powers, a Kailua-Kona aerial photographer who has spent years capturing images of humpbacks from the air, can be counted among those waiting. “I’ve been looking for the last month and have not seen one,” he told the Hawaii Tribune Herald. Experts say the humpback whales' late arrival may actually be good news. Perhaps increasing numbers of whales means more competition for food off Alaska, and the humpback whales need a lot of food to make the journey to Hawaii. This time of year, cars usually are lined up on the edge of Akoni Pule Highway as whale watchers gather roadside and on hills to take in the nearshore displays of pec slapping, blows and the giant, lunging breaches of aggressive and amorous males. Each winter, more than 10,000 humpback whales migrate from feeding grounds in Alaska to the warm waters off Hawaii to mate and give birth. The first humpback of the season was spotted off the Kohala Coast in late October, which is early. Sightings have been spotty since then, and the increase in numbers leading up to the January and February peak months might be starting to happen only now. That’s good news for folks hoping to catch a glimpse of these majestic mammals. 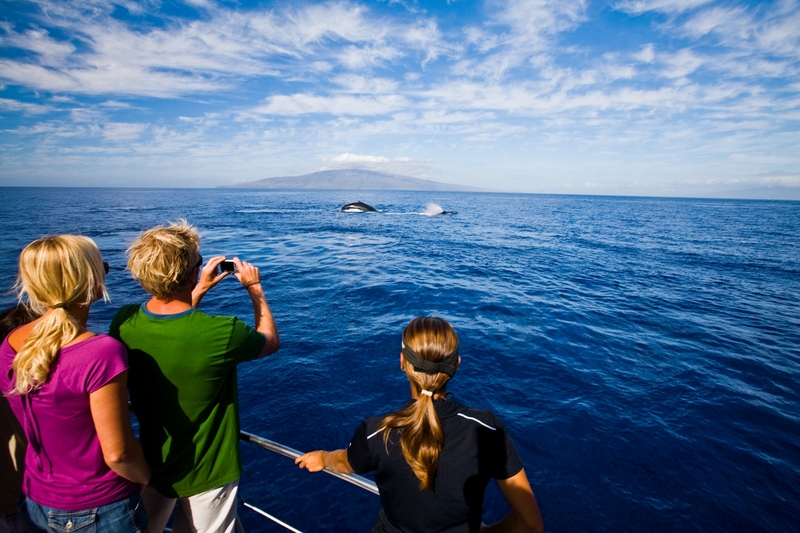 In fact, since the humpback whale populations are just now making their way to Hawaii, it’s a great time to take advantage of a Maui Whale Watching excursion through Hawaii Aloha Travel. 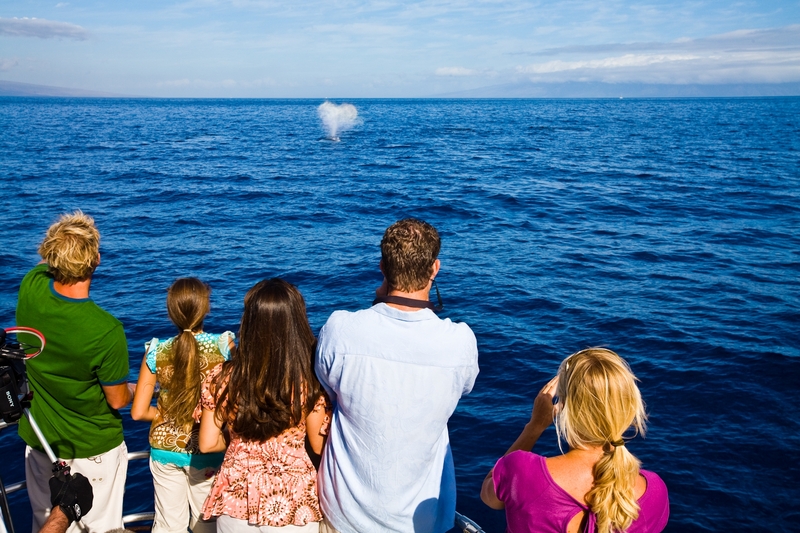 During your excursion, a whale sighting is “guaranteed,” so if you don’t see one, your next whale watching trip is free. So, no need for concern if you’re still hoping to go whale watching on your next trip to Hawaii. The whales are coming…slowly but surely.